PreparationAachi Chilli Powder may be mixed with edible oil or ghee for good taste.IngredientsUrad Dhal, Salt, Red Chillies, Gram Dhal, Sesame, Asafoetida & Curry leaves. 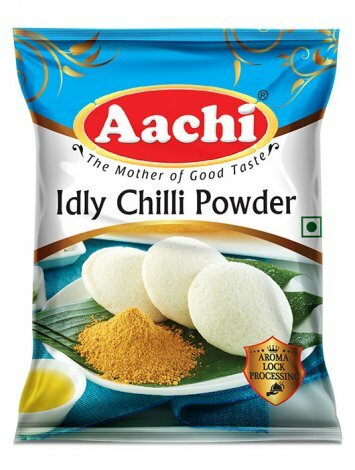 Aachi Chilli Powder may be mixed with edible oil or ghee for good taste. 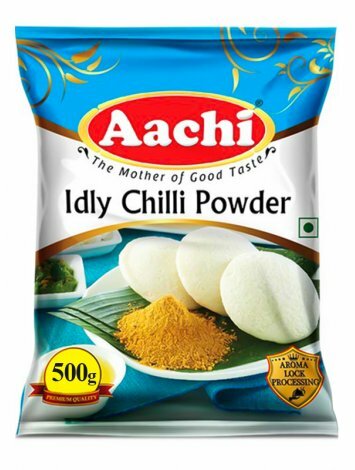 Urad Dhal, Salt, Red Chillies, Gram Dhal, Sesame, Asafoetida & Curry leaves.